Kick off your visit on the 23rd (Sat): take in the views from Golden Gate Bridge, step off the mainland to explore Alcatraz Island, and then take in the waterfront at Fisherman's Wharf. 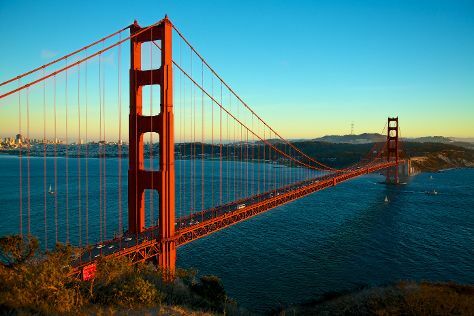 To see where to stay, maps, ratings, and other tourist information, refer to the San Francisco sightseeing planner. Gulfport to San Francisco is an approximately 11.5-hour flight. You can also drive. The time zone difference moving from Central Standard Time to Pacific Standard Time is minus 2 hours. In December in San Francisco, expect temperatures between 58°F during the day and 45°F at night. Cap off your sightseeing on the 24th (Sun) early enough to go by car to Monterey. 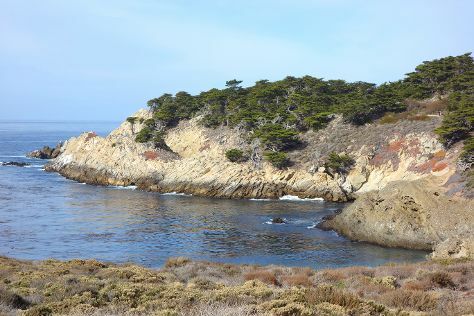 Monterey is a city in the U.S. On the 24th (Sun), stroll through Point Lobos State Reserve and then make a trip to Pacific Grove Oceanview Boulevard. To see more things to do, where to stay, reviews, and more tourist information, use the Monterey trip itinerary planner. You can drive from San Francisco to Monterey in 2.5 hours. Alternatively, you can fly; or take a bus. Expect a daytime high around 61°F in December, and nighttime lows around 42°F. Cap off your sightseeing on the 25th (Mon) early enough to go by car to Cambria. Cambria is a seaside village in San Luis Obispo County, California, United States midway between San Francisco and Los Angeles along California State Route 1 (Highway 1). Start off your visit on the 25th (Mon): look for gifts at Red Moose Cookie Company, hike along Fiscalini Ranch Preserve, and then explore the historical opulence of Friends of Hearst Castle. For maps, traveler tips, and more tourist information, refer to the Cambria travel planner. Getting from Monterey to Cambria by car takes about 2.5 hours. Other options: take a bus; or do a combination of bus and train. Traveling from Monterey in December, you can expect nighttime temperatures to be somewhat warmer in Cambria, with lows of 50°F. Wrap up your sightseeing on the 26th (Tue) early enough to drive to Beverly Hills. Beverly Hills is a city in Los Angeles County, California, United States, surrounded by the cities of Los Angeles and West Hollywood. Start off your visit on the 26th (Tue): explore and take pictures at Mulholland Drive, then steep yourself in history at Greystone Mansion, and then admire the landmark architecture of Spadena House. For ratings, photos, more things to do, and tourist information, use the Beverly Hills itinerary maker. You can drive from Cambria to Beverly Hills in 4.5 hours. Other options are to do a combination of bus and flight; or do a combination of bus and taxi. When traveling from Cambria in December, plan for a bit warmer days in Beverly Hills, with highs around 65°F, while nights are about the same with lows around 49°F. Finish up your sightseeing early on the 27th (Wed) so you can go by car to Santa Monica. For maps, photos, traveler tips, and other tourist information, read our Santa Monica trip planner. Santa Monica is just a short distance from Beverly Hills. Expect a daytime high around 65°F in December, and nighttime lows around 49°F. You'll set off for home on the 27th (Wed).